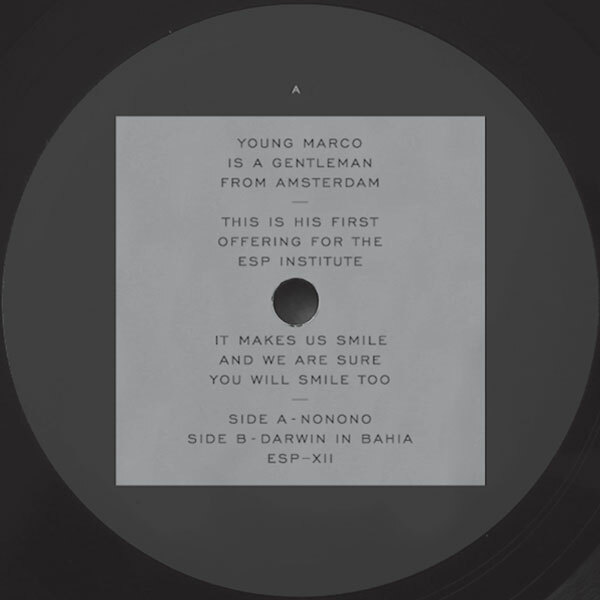 Young marco is a gentleman from amsterdam. This is his first offering for the ESP institute. It makes us smile and we are sure you will smile too. With his head in the clouds, marco blends soaring melodies that harmonize beautifully over loop-de-loops of bass lines and bleeps. His warm analogue aesthetic invites us to his daydream, a place of innocence where we can do no wrong, dancing eyes-closed as the sun rises somewhere outside. This is pure feel good dance music, no gimmicks, no pretense, just right.